We’d love your help. 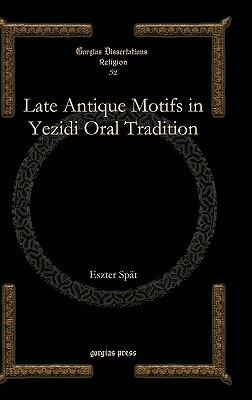 Let us know what’s wrong with this preview of Late Antique Motifs in Yezidi Oral Tradition by Eszter Spat. Yezidis are a mysterious people of the Kurdish mountains who practice a highly syncretistic religion based exclusively on oral tradition. This work aims to demonstrate how this oral tradition works through tracing the presence and use of late antique motifs in Yezidi mythology. To ask other readers questions about Late Antique Motifs in Yezidi Oral Tradition, please sign up.